In my book, WINGS is one of the most impressive SFX libraries to come out in a long while. 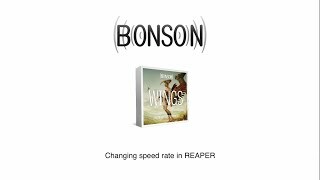 It can be hard to come up with original, useful ideas for SFX libraries – but WINGS is truly innovative, and it’s crafted with an incredible attention to detail. I’ve had a talk with Michel from BONSON about the library, what went into creating it – and he also shares a few handy tips along the way. How did you come up with the idea for WINGS? And how long has it been in the making? 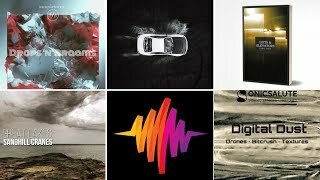 Everything started a year ago, when I was talking with some audio friends and I discovered that I was not the only one who wanted to have a good wings sound library. 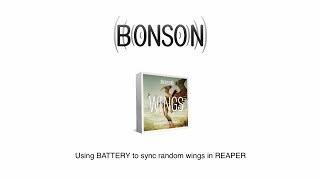 Because of this, and because I was having the idea of creating my own sound libraries, I thought that wings could be a good challenge to be my first pack. WINGS comes in 2 categories: Design and Source. 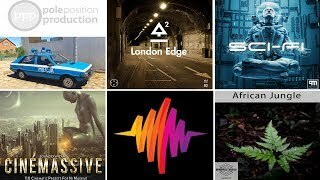 The Design category consists of all the sounds that I created, manipulating the source sounds and other recordings I have made. These sounds are ready to be used and cover a wide palette of sonic colors. WINGS comes with the following designed creatures: Unidentified Flying Organism, Bee, Butterfly, Chicken, Dragons in different sizes, Fairy, Fly, Gargoyle, Grasshopper, Griffin, Mechanical bird, Mosquito, Pegasus, Pelican, Phoenix, Pigeon, Rhinocerous Beetle, Scarab, Sparrow, and Pterodactyl. This category includes 180 sounds and you can find the following creatures: Unidentified Flying Organism, Bee, Butterfly, Chicken, Dragons in different sizes, Fairy, Fly, Gargoyle, Grasshopper, Griffin, Mechanical bird, Mosquito, Pegasus, Pelican, Phoenix, Pigeon, Rhinocerous Beetle, Scarab, Sparrow, and Pterodactyl. The source category is the best of raw recordings. You can find 1240 sounds divided in 26 categories classified by the element we used to create the sounds, like an ostrich feather duster, sun umbrella, camouflage netting, etc. And you have them doing actions like single flap, double flap, hover, depart and take off. What’s been your design process for the library – and how did you decide on the sonic direction for the designed creatures? For the whole library my idea was to have the widest possible palette of sounds, and to record as many props as possible. We use Pro Tools HD at 192 kHz, 24 Bits, Sound Devices 702T and microphones like the Neumann TLM 170, DPA 4006, Sennheiser MKH 8040, MKH 30 and MKH 416. For the designed creatures the idea was to have from little to extra big creatures, and to have a lot of variations of sounds. The process for the sound design was totally intuitive. I was hearing the source material and doing tests, changing pitch, equalization, layering files, and all the techniques sound designers normally use. When I heard something interesting and that I could relate that sound to, for example a dragon, I started trying to create enough material for that creature. Sometimes I started in the opposite way trying to get the sound of a pegasus for example, and then I started hearing sounds with feathers that could work when mixed with sounds of other props that could give the weight of the big wings of a pegasus. I would say that it was a lot of trial and errors. You’ve mentioned that the single wing flaps have been carefully edited – what does that mean for sound users? When editing single flaps, I discovered that it was better to have them “aligned” because if you want to change the rate or velocity if they are not aligned, it is going to break the rhythm. When I say “aligned” I mean that if you put them across the tracks, they should be all in sync and sound like one big flap. They have small variations but that doesn’t affect the rhythm. Any tricks for timing the wing sounds / rate with visuals for convincing results? And any other tips for making the most of the library? I’m a Pro Tools user from version 1, but I have been using REAPER for a couple of years know and I love it! There are so many actions that you can assign to do many things, like randomize sounds, order your files by RMS, have several sessions open at the same time just to mention some. For example a great option is using the “Reposition selected items…” action. With this action you can select, say 15 flaps and with a quick shortcut you can change the time interval between them, and quickly you can see at what speed they work best. Another good tool is BATTERY from Native Instruments. It has a cool option where you can map all your sounds and trigger them randomly from one Key in your musical keyboard. I recommend to play your video in slow motion while recording the midi so that it makes it easy to have all your wings in sync with the image. Then put at normal speed and fine-tune your recording modifying your midi velocity to add dynamic to your sounds and adjusting the sync. From there you can continue experimenting with other audio processing techniques. In general, what are some of the key qualities to useful wing sounds? Right now come 3 to my mind : frequency range, texture, and rate or velocity. What was the hardest sound to get right? And do you have a favorite sound or sound set in the library? Good question. I would say that the whole Wings sound library was hard to get it right, maybe because of the big amount of sounds that we recorded and all the editing, metadata, and mastering work that was involved to get things sounding good. I especially like the Inflatable Sleeping Pad, the Balloon and the Knee pads, also the dragons and pegasus wings. Thanks for the interview and I hope that audio colleagues will learn something here.